I’ve heard it said that you’re supposed to do one thing that scares you every day. Well this week, I did just that. Just one day though. Not every day. Moderation is key right? I did learn a very important fact doing it though. The amount of blood they took from me has the potential of saving three lives. In the late nineteenth century, bloodletting was good medicine. “Humors” were thought to be in four categories. Blood, phlegm, black bile and yellow bile. The thinking was that proper balance of the “humors” helped to maintain good health. Bloodletting was a way to purge the body of “bad humors”. Anyway all this reading and thinking about blood set me to thinking of a “word” I felt the Lord speak to me some time ago. When you consider God, consider this. It only takes one word from Him to change everything. 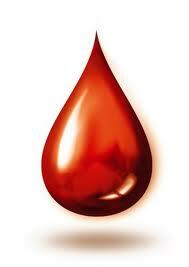 It only takes one drop of the precious blood of Jesus to cleanse us of our sin. It only takes one moment, to receive the forgiveness that will assure us of an eternity with God our Father. My bloodletting can save three lives. The bloodletting of Jesus the Christ, can give life to the world.